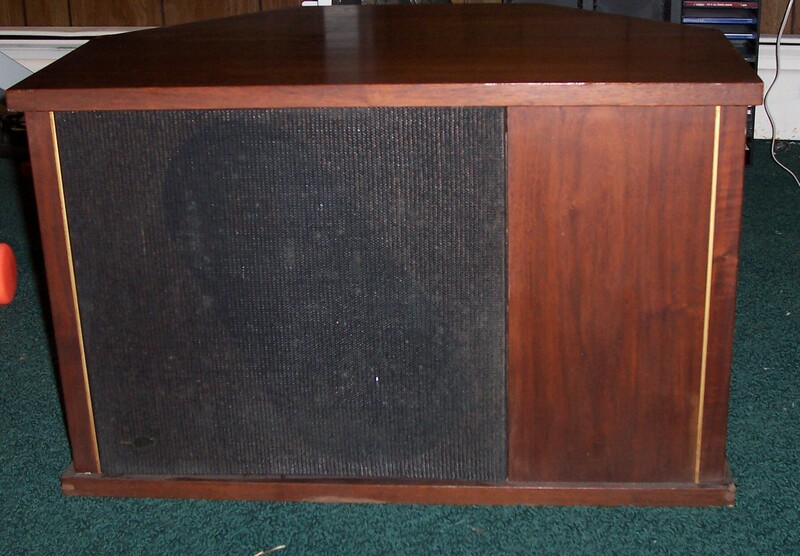 March 12, 2011: The EPI Model 602 was EPI's answer to the Bose direct reflecting speakers of the 1970. Back at a time when Bose was actually making good speakers at a fair price, I guess EPI wanted to show Bose they could beat them at their own game, thus the 601 and 602. 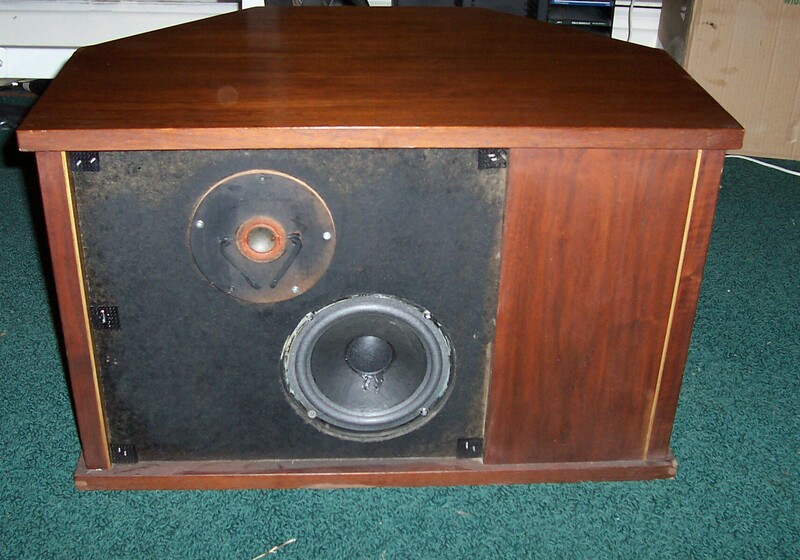 These are very large bookshelf speakers although they were often placed on stands instead of being stuffed onto shelves. Each speaker has two rear firing eight inch woofers along with two tweeters and one front firing 6.5" woofer and tweeter. The result is impressive. They sound bigger than their cabinets and project a feeling of realism generally not heard in affordable speakers. But you could argue, that the $600 they listed for back in the late 70s was a lot of money in that time. Probably a few thousand in today's green toilet paper. This pair has a story. A buddy of mine always scours craigslist for gear and knows I am an EPI addict. He spots these for sale for $100 as basket cases. I offer $50 and the seller accepts. When I got them they were not really functional and filthy dirty. I thought about parting them out but could not do it because I had never heard 602s...thus I had to restore them. 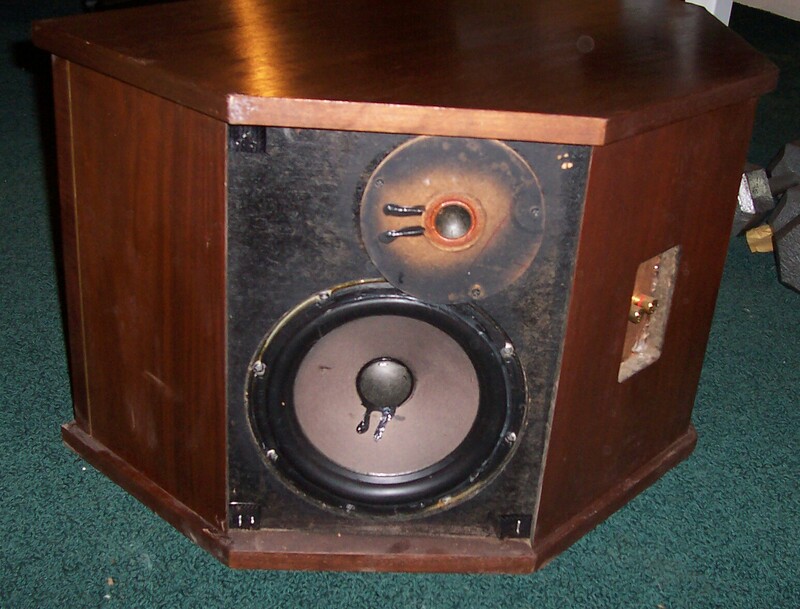 All four eight inch woofers had rips in the rubber surrounds. One of the 6.5" woofers was a rat shack replacement and the other needed new foam. 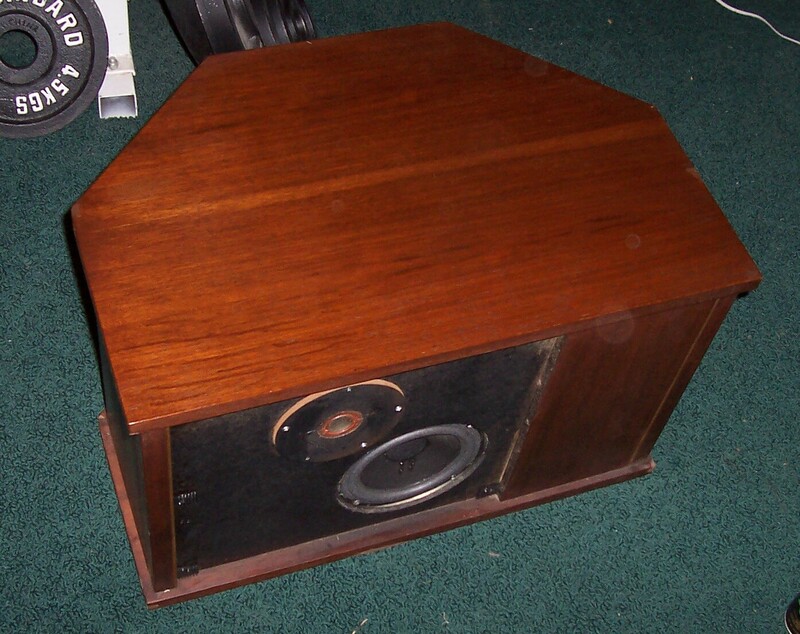 There was a dead tweeter and one of the internal boxes for the 6.5" woofer had come unglued. Aside from fixing all of that, I sprayed the interior of the cabinets and replaced some of the fiberglass with Acoustistuf. Also, of course, I built a new crossover for it. On the cosmetic side they were just awful...and I got them all the way to decent...or maybe good. Patched a few divots, light sanding, and some new walnut stain. The grills are a bit dirty, but not awful. If I get motivated (or paid) I would consider re-clothing them. The final effect is just great. They are sonically great speakers. I satisfied my curiosity and have no place to use them. They would make great main speakers or great surrounds in a monster 5.1 system. These come up on E-Bay only a few times a year, they are some of the more rare models. Generally the asking price is between $350 and $500 plus shipping for a stock pair with an issue or two. These have no issues and are sonically better than new. Price is a firm $450 plus shipping. Shipping will be expensive. They will need to be shipped in separate boxes and each has a net weight of about 60 pounds. Figure about $160 west coast or $100 east coast. If you are interested send me your zip code and I can give you an exact number. If you live anywhere between NYC and Philly meeting in the middle is possible (for the price of gas money).